The rational manipulation of antigen-specific T cells to reignite a tumor-specific immune response in cancer patients is a challenge for cancer immunotherapy. 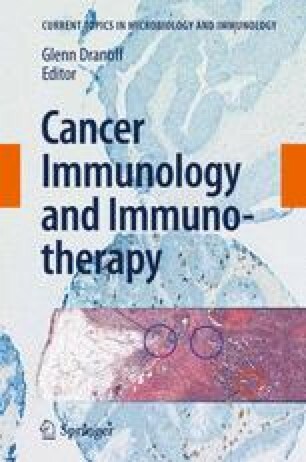 Targeting coinhibitory and costimulatory T cell receptors with specific antibodies in cancer patients is an emerging approach to T cell manipulation, namely “immune modulation.” Cytotoxic T-lymphocyte antigen-4 (CTLA-4) and glucocorticoid-induced tumor necrosis factor family receptor (GITR) are potential targets for immune modulation through anti-CTLA-4 blocking antibodies and anti-GITR agonistic antibodies, respectively. In this review, we first discuss preclinical findings key to the understanding of the mechanisms of action of these immunomodulatory antibodies and the preclinical evidence of antitumor activity which preceded translation into the clinic. We next describe the outcomes and immune related adverse effects associated with anti-CTLA-4 based clinical trials with particular emphasis on specific biomarkers used to elucidate the mechanisms of tumor immunity in patients. The experience with anti-CTLA-4 therapy and the durable clinical benefit observed provide proof of principle to effective antitumor immune modulation and the promise of future clinical immune modulatory antibodies. The authors would like to thank Dr. Stephanie Terzulli and Brian Ginsberg for reviewing the manuscript and Drs. Lloyd Old and David Page for their scientific guidance and assistance in generating the immunogram.